Every family enjoys good health and wellness through meridian natural therapy. To promote easy-to-learn Meridian 101 natural therapy preventive care. 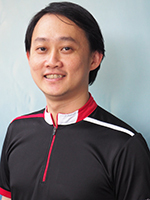 Alvin founded essentiallyMERIDIAN in 2007 and oversees International Franchise of M101. Trained in Quantum Physics and defence science from the UK, Alvin started his career as an oversea merit scholar with the Singapore Armed Forces. He went on to be a multipreneur in various fields: healthcare, cell therapy, pottery and social enterprises. 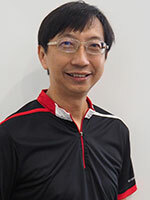 Alvin was trained personally by Professor Lin Jun Ying from Taiwan's Yang Ming Medicial University, who led the biotech R&D team in extracting essence from traditional herbs and developing simplified TCM acupressure techniques for preventive health. Alvin created a sustainable business model so as to enable the proliferation of this useful wellness knowledge and skills to benefit more people. essentiallyMERIDIAN was born to provide a flexible entrepreneurial opportunity for anyone keen to help others and in return develop a rewarding wellness career for himself/herself. Today, thousands have benefited from Meridian 101 wellness talks/workshops conducted in Singapore, Malaysia, Taiwan, Hong Kong, The Philippines, Indonesia, Japan, Australia, Kenya, India, Nepal and China. Many have also joined us as Ambassadors and Speakers. It is our collective vision to serve as a wellness multiplier for a healthier and better world. 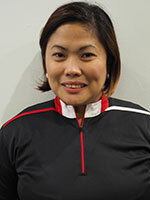 Josephine is an experienced Meridian 101 Mentor and Senior Trainer who coordinates International Franchise. 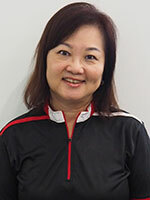 She has conducted workshops and training programs regionally in Singapore, Japan and Taiwan. 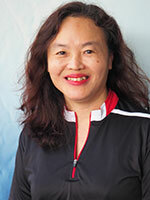 Josephine was trained by Professor Lin Jun Ying from Taiwan's Yang Ming Medicial University, who led the biotech R&D team in extracting essence from traditional herbs and developing simplified TCM acupressure techniques with herbal essential oil application for preventive health. Josephine is very knowledgeable in the application of the complete range of herbal essential oils and she has helped many people gain better health through Meridian 101. Her focus is to help develop the competency of Meridian 101 trainers and speakers. 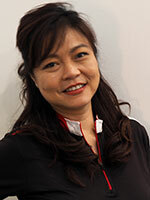 Siu Ling is the Chief Trainer who oversees the competency of our M101 team. She is a Certified Public Accountant with more than 15 years of corporate experience (finance and accounting, asset management, business development and investment, merger and acquisition, tax planning and structuring) in the real estate and healthcare industry. 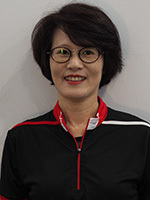 She holds a Graduate Diploma in China Culture and History from Shanghai Fudan University and a Diploma in Translation Skills from Singapore Chinese Chamber Institute of Business. 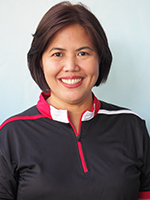 She is also a qualified Neuro-Linguistic Programming (NLP) Practitioner. 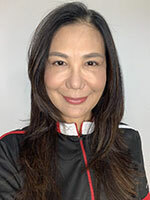 Siu Ling has a keen interest in the study of Traditional Chinese Medicine and the application of oriental herbs through the body’s meridian system for natural self-healing. The effectively bilingual lady has completed a 2-year TCM course with the Singapore College of Traditional Chinese Medicine. In 2012, she transited to a new career in preventive wellness education. 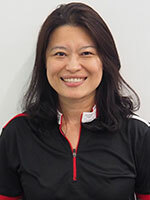 Siu Ling aspires to train and develop competent Meridian 101 teams across Asia. 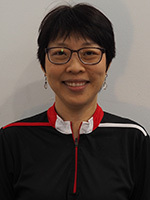 Based in Singapore, Siu Ling currently conducts meridian workshops at AVITA training centre, Community Clubs, corporate organizations, hotels, associations, clubs, yoga centres, yoga retreats etc. 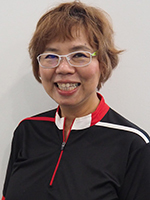 Some of her wellness clients include CapitaLand, Millenia Walk, Shangri-la Hotel, LaSalle Investment Management, Raffles Medical Group, Finnish Ladies Club, ZONTA, Yoga Space, Raffles Girls Primary School and Hwa Chong Institution Boarding School, etc. Theingi heads Partnership Development and seeks out new partners for collaboration. Theingi graduated with a specialised degree in Marketing & Management from Curtin University of Technology. She loves meeting people and creating new friendships that blossom into business alliances. 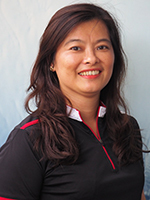 Theingi first learnt Meridian Therapy in 2004 from a group of Professors from Taiwan and since then fell in love with the simplicity and effectiveness of the method. Theingi is now an experienced Meridian 101 Trainer and a well-liked Wellness Speaker who always offers her help and advice in the most gentle and patient way. She regularly leads Meridian 101 workshops at community clubs, associations, corporate organisations and international schools. Theingi's life purpose is to empower others with her skills and knowledge so that they too can have a better health and well being. She directed the Meridian 101 for the Visually Impaired community program to empower the Visually Impaired with a new livelihood skill. Theingi envisages giving people an all rounded experience of wellness. Her vision is that everyone who experience Meridian 101, essentiallyMERIDIAN’s touch will always remember the experiential moment they had with us. Joey oversees New Market Development and co-ordinates oversea training engagements. He leads an organic team of Speakers and Ambassadors in essentiallyMERIDIAN. He is a multipreneur who also runs his own civil engineering consultancy. Joey used to only believe in modern medical drugs as a form of treating diseases. He now realizes the significance of going back to nature as a form of healing and therapy, and why it is so important to have an understanding of herbal medicines. Joey is particular interested in herbal therapy products that are proven scientifically with modern technological know-how. Ever since he came to learn about Meridian 101 self-healing acupressure massage skills and seeing the great effects they have on his parents and two daughters, Joey has been earnestly practising them and sharing them with friends and colleagues alike. His family has also reduced the number of visits to the clinics. It not only saves on medical costs but also reduced the intake of anti-biotics, which mostly have long-term side effects. He is humbled and greatly appreciates to have very experienced mentors like Alvin, Soo Ping, and Theingi who patiently coached him on the intricacies of Meridian 101 skills and the knowledge of herbal essential oils. Joey is passionate about sharing with as many people as possible on the benefits of Meridian 101. 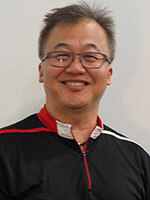 He has conducted Meridian workshops in many organizations: Merrill Lynch Singapore, SAFRA Toa Payoh, Presbyterian High School, Joo Chiat Community Centre, Nanyang Community Centre, Kaki Bukit Community Centre, Lam Soon Community Centre, Singapore Power, SingTel, Millennia Walk Singapore, and many more. 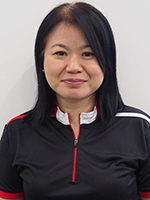 Pauline has conducted hundreds of Meridian 101 workshops and training courses in Australia and Singapore. 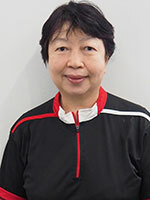 She has attended certificated training in Aromatherapy and Traditional Chinese Medicine, and is specially trained by Professor Lin Jun Ying from Taiwan's Yang Ming Medicial University in the application of herbal essential oils. 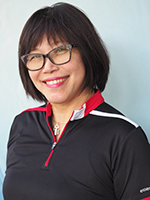 Pauline is a special advisor and trainer for Meridian 101 programs, and she has helped thousands of individuals in Australia and Singapore gain better health through DIY self-healing techniques and the skillful use of herbal essential oils. Pauline is especially passionate in empowering women with home-based business and self-reliance skills. 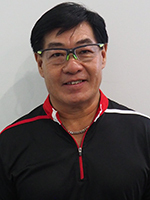 Koh Siang is a bi-lingual Meridian 101 Trainer, fluent in English and Mandarin. 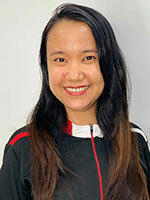 She holds a degree in Business Admin from the National University of Singapore. Growing up in a family that believes in natural therapy helped Koh Siang appreciate the tremendous benefits and potential of Meridian 101, and motivated her to embark on a career in wellness education. 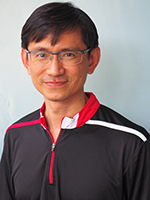 Koh Siang became a Trainer in 2014. 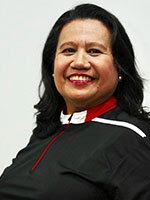 She regularly leads Meridian 101 workshops in Singapore as well as Johor and Kuala Lumpur in Malaysia. 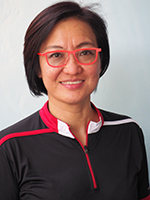 As a Biology teacher of 14 years and former Head of Department for Student Development at Hwa Chong Institution, Christine is an educator-at-heart. She was introduced to Meridian 101 in 2010 and was amazed by the effective yet simple and holistic approach of Meridian 101. 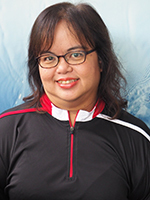 Christine became a Trainer in 2015 and has brought Meridian 101 to schools, non-profit organizations, corporates and overseas including China. 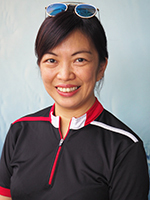 Meridian 101 transformed Wai Teng's health in 2010, from being a cancer survivor to one beaming with radiance and vitality. She became passionate in sharing her knowledge on guasha with avita herbal essential oils. She went on to become a Meridian 101 Speaker in 2012 and Trainer in 2014, and has since helped countless number of people to improve their health and wellness. 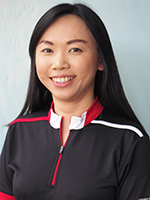 Wai Teng is working with her team of Meridian 101 Ambassadors in Jakarta to promote Meridian 101 in Indonesia. 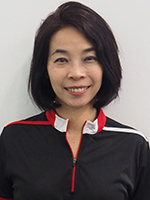 Moy Fah has many years of expertise and experience in Meridian 101 and she has helped many people learn about illness prevention and benefit from meridian massage. 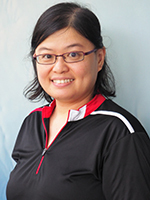 She is well respected as the top Meridian 101 Speaker in Ipoh and KL, and she presents in Mandarin and Cantonese. 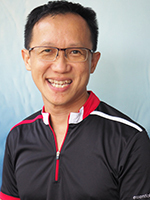 Based in Ipoh, Moy Fah is the key trainer responsible for the training and grooming of Meridian 101 Speakers and Ambassadors in Ipoh and KL. 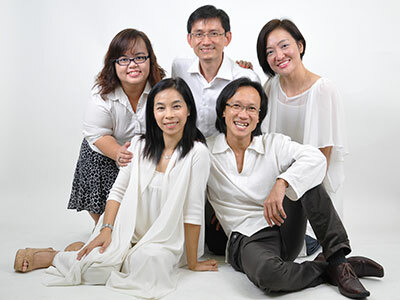 Her Meridian 101 team is growing into new areas like Cameroon Highlands, Taiping and Singapore.